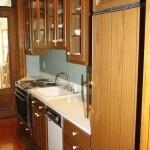 This is a small galley kitchen in a charming, historic old brownstone in the city of Albany. 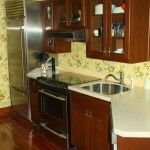 The existing cabinets were in excellent condition and the homeowners were satisfied with the layout. 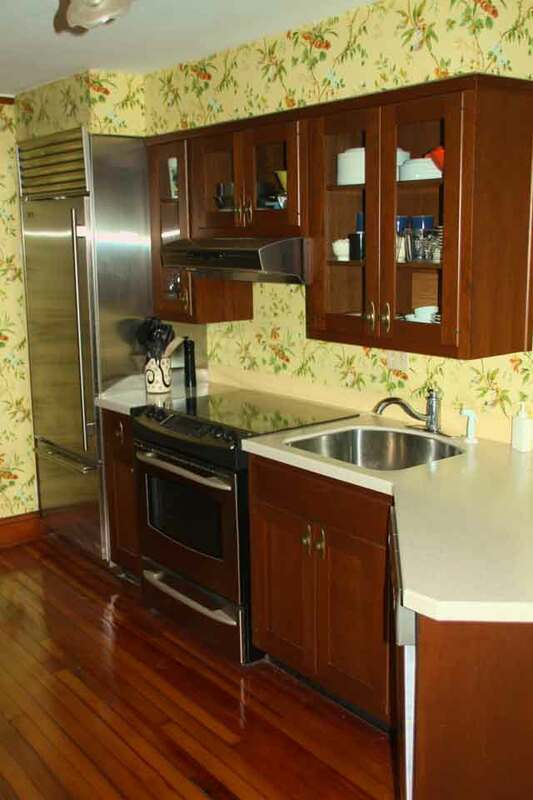 Although the sink is very close to the cook top, they liked the appreciable amount of counter space to the right. 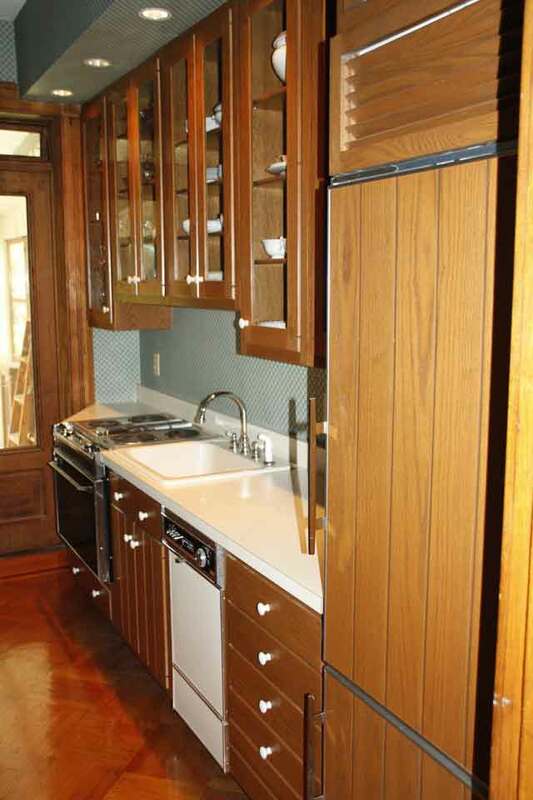 We decided to keep the cabinets and the beautiful, original parquet floors. 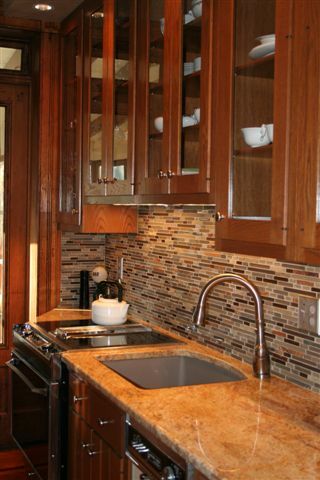 The white counter top, sink and knobs did nothing to emphasize the beauty of the stain on the cabinets. Actually, they detracted from it. 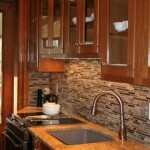 The first thing we did was to select a warm toned granite counter top that would complement the cabinets and the floor. The under mount sink gives an unbroken, cleaner line to the counter. Then we decided a horizontal, stone back splash, highlighted with some glass tiles, would add just the subtle punch we wanted. The new lighting accentuates all of it. The new single hole faucet, with sprayer built-in, again simplifies the entire look and makes cleaning tremendously easier. The homeowners kept the existing stove with built-in downdraft, but replaced the old coil burners with flat top ones. This is, yet again, another contributor to the new sleeker appearance. The only things left to do were to replace the white knobs and back plates with brushed nickel ones which blend with everything else weâ€™ve done. I think the overall effect makes it feel like an entirely new kitchen at a fraction of the cost. The homeowners, Iâ€™m pleased to say, were very pleased with the outcome and the more sophisticated, elegant look is much more conducive to the architecture of the home.